While my little hollow on the internet has been a bit sleepy, I’ve nonetheless been working on things. 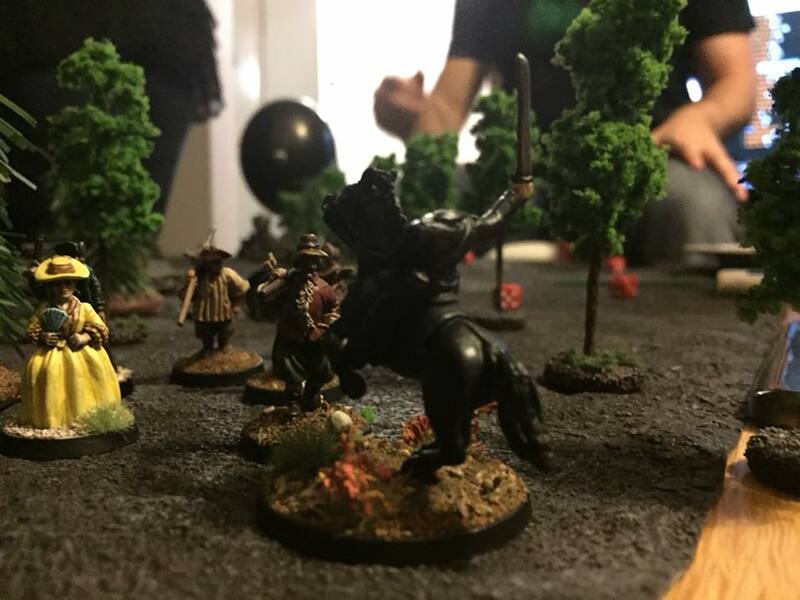 We recently had our now-traditional Halloween game, and I finally finished the Headless Horseman miniature that I originally intended for the Halloween game of 2015. Better late than never, I’d say. 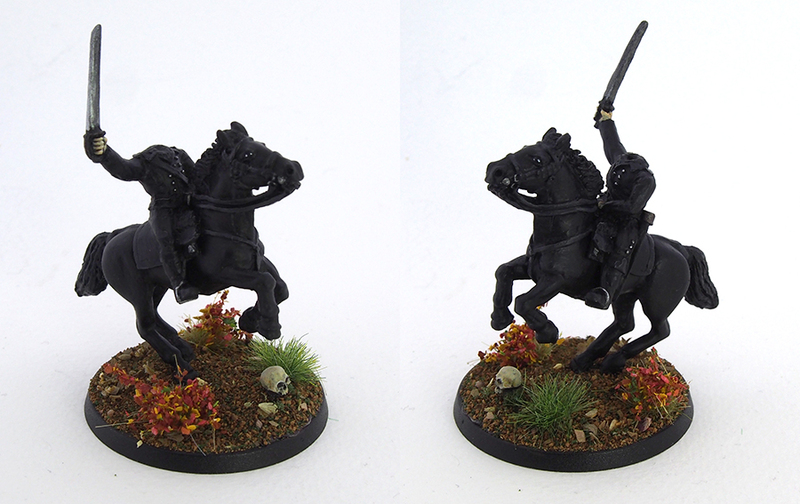 It isn’t much of a paintjob – I’m not a fan of painting black, and he was black, black, black. Being in a rush didn’t help things either! As usual for my Halloween games, I was painting him on the afternoon of the game day. To make up for the somewhat lacklustre painting, I put a bit of extra effort in the base, which I think improves him overall. I thought about doing some sort of ghostly effect on him, but decided against it in the end. A part of the Sleepy Hollow thing is that there’s always the chance it’s just someone pulling a prank, so I wanted to leave that in there. 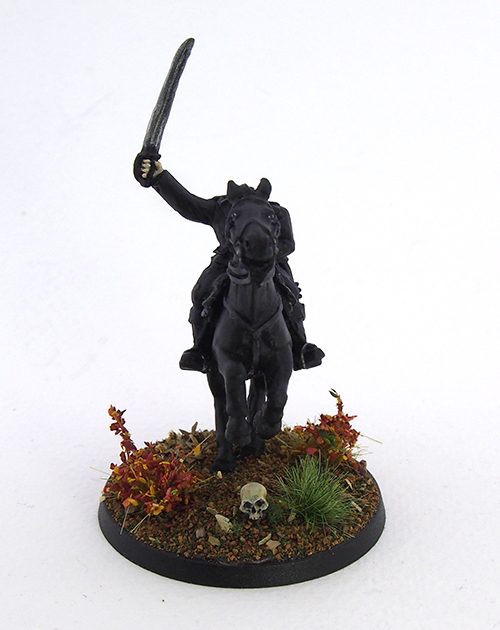 The miniature is a decapitated British Legion Trooper from Front Rank’s American War of Independence range, coupled with one of Front Rank’s rearing horses. While I’m not completely happy with him, he does look the part of the Horseman, so I count that as a success. 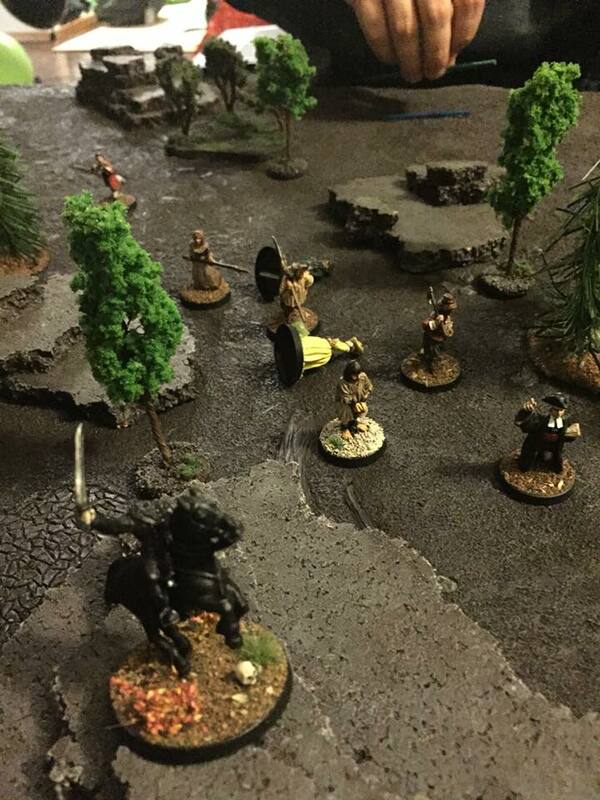 Here are a few shots of the Horseman in action, the game was good fun! Photos by my friend Mia. Cheers Alex, much appreciate it! Black tends to require a lot of layering and blending to make it pop, and this ended up a bit flat. I don’t hate it, but if I had more time and enthusiasm, it could have been better. Still, I’m really happy with the base so there’s that! I agree he needs a little more contrast – perhaps something to go back to and tidy up later? I probably could do that, but knowing myself, I think I won’t 😀 I’ll rather move on to something more inspiring and less…black.